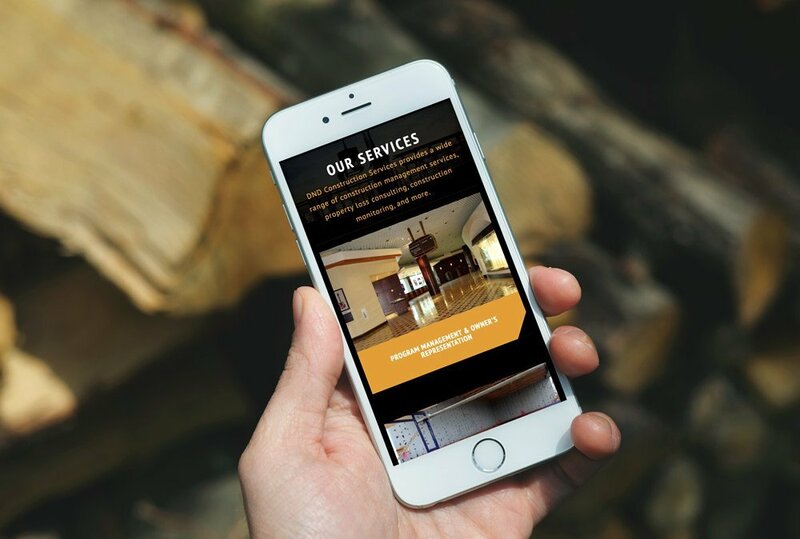 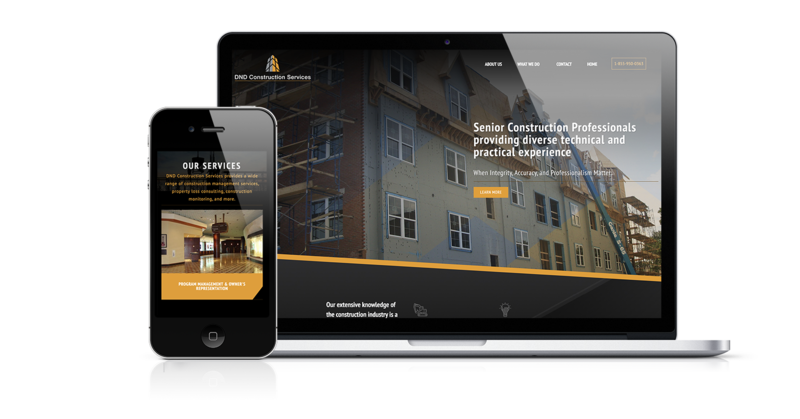 DND Construction Services, a company that offers expert construction management services and property loss consulting, to name a few, came to us with the request to design them a website that was sleek and bold. 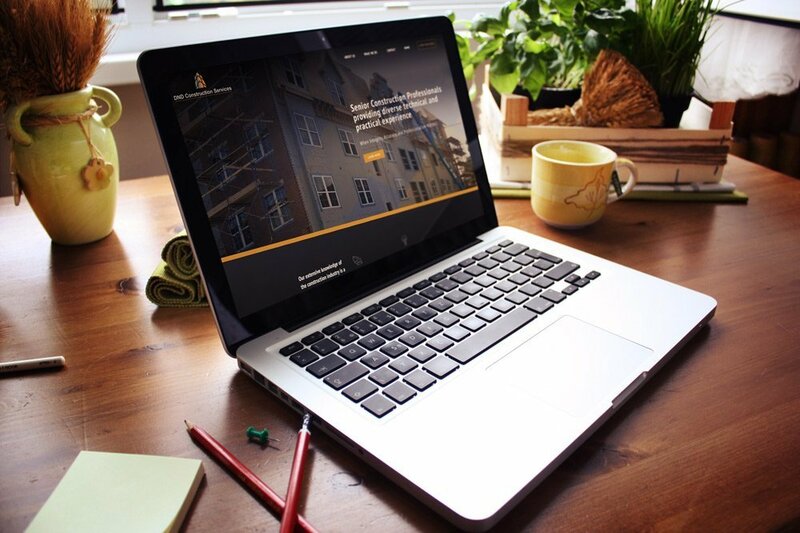 We decided to go very bold and do the entire website in black with the orange from their logo as a secondary color, with small sprinklings of light gray to add a sense of depth. 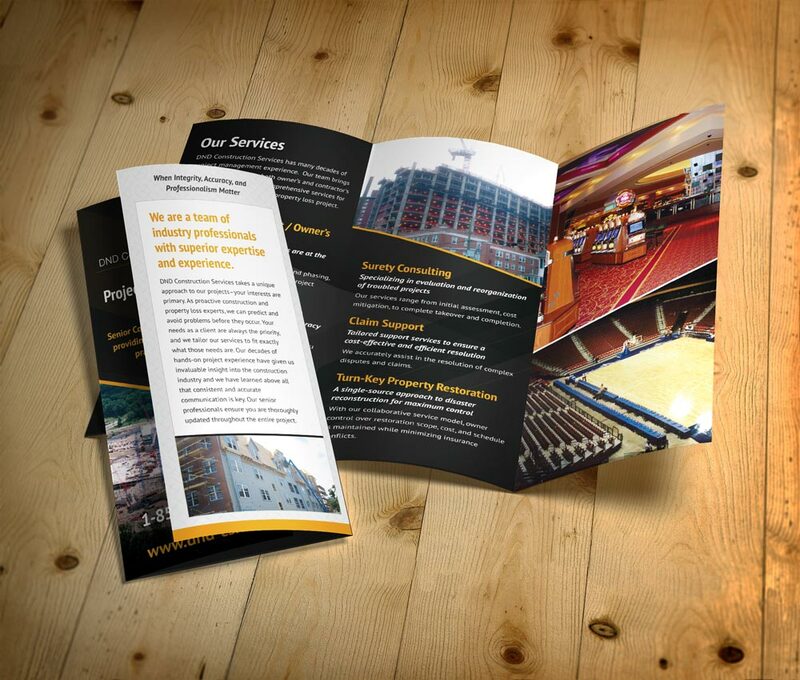 They also requested for some marketing materials to be designed, so we carried over the colors and designs from the website into them so that there was continuity between the website and marketing materials.